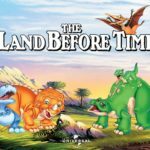 Ashland Theatre, in partnership with the Dominion Energy Charitable Foundation and The Faison Center, is thrilled to launch a new monthly movie series in February! 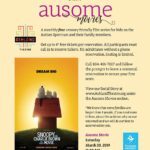 “Ausome Movies” is a monthly free sensory friendly film series for kids on the Autism Spectrum and their family members. 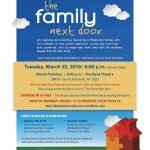 Get up to 4 free tickets per reservation. 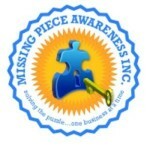 All participants must call in to reserve tickets. No admittance without a phone reservation. Seating is limited. Join us on Saturday, February 23rd at 11:00AM for a sensory friendly screening of “Shrek”! 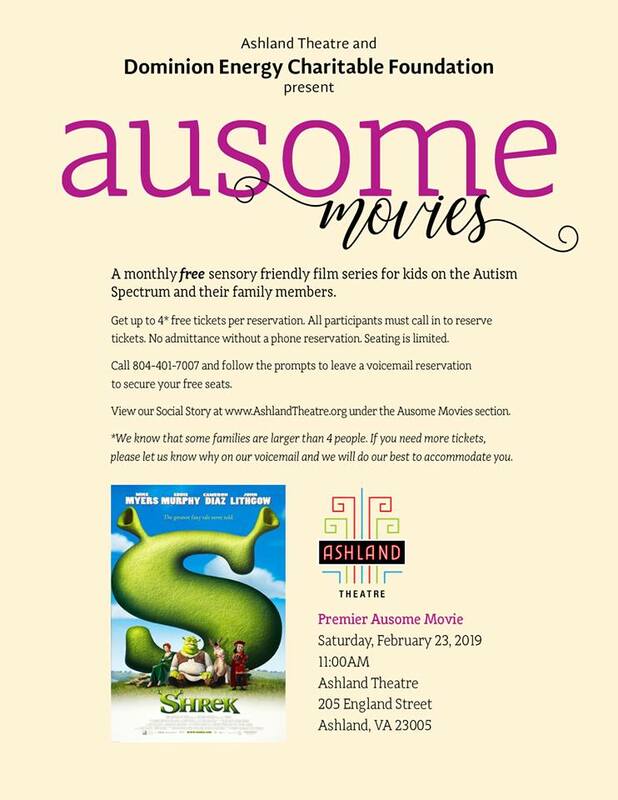 Go to https://ashlandtheatre.org/ausome-moviesfor more information and to view our social story.